I hope you are enjoying the summer. At Scrap Friendzy we are trying to savor every last minute of it. My challenge this month for you is to enjoy the pool. There are a few things you must have to enjoy the pool. You must bring your sunscreen, towel, sunglasses, and a float. 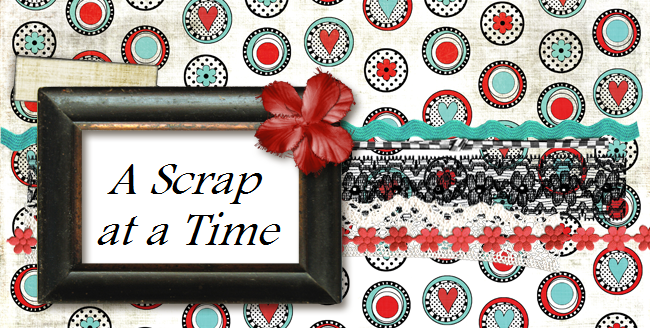 Come on over to Scrap Friendzy and see what type of recipe that those items can create. I used a sketch from Sally Lil Sketches for this LO. What a great summertime page! Love how you switched up the sketch a bit and made it your own. Thanks for playing along at Sassy! Great take on the sketch. Love your mix and pictures. Tks. for playing along with us at SLS!